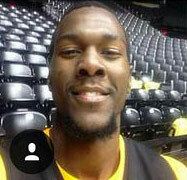 Former Missouri Tiger Deuce Bello will play his final season at ETSU. While there has been no official press release published yet, a series of tweets from Deuce Bello confirms his commitment to ETSU. EDIT: ETSU released the official press release last night confirming both Deuce Bello’s and Tevin Glass’ commitment to ETSU. Read it here. On behalf of the Buc faithful, I'd like to extend a warm welcome to @deucebello . We have your back. Missouri transfer Deuce Bello has committed to East Tennessee State, source told @CBSSports. Immediately eligible for next season. 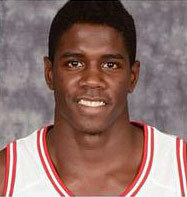 Bello was a top 50 player out of high school and considered one of the top athletes in his class. He originally committed to Baylor where he played for two seasons and then transferred to Missouri for his Junior season. 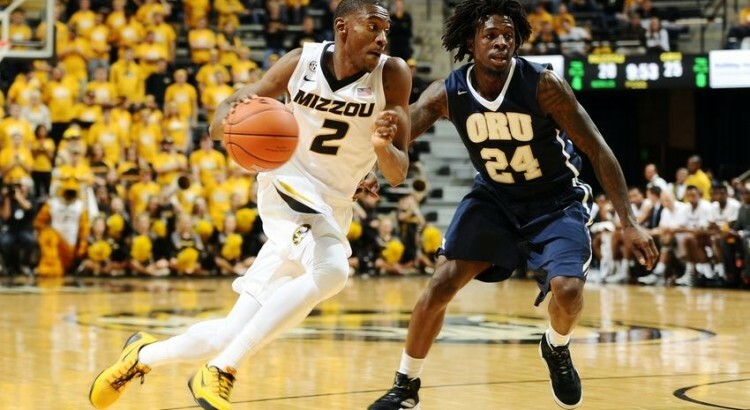 Bello will be eligible immediately as he graduated from Missouri this past spring. Deuce Bello completes a very impressive recruiting class for the 2015-2016 season. 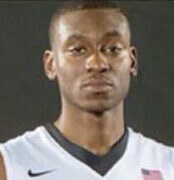 He joins Cincinnati transfer Ge’Lawn Guyn (Lexington, Ky.), Wichita State transfer Tevin Glass (Norcross, GA), Indiana transfer center Peter Jurkin (Juba, South Sudan) and forward Hanner Mosquera-Perea (Istmina, Columbia), as well as junior college transfers T.J. Cromer (Albany, Ga.), Nigel Holley (Wilmington, N.C.) and Abednego “Bennie” Lufile (Burlington, Ontario, Canada), prep signee’s Shemar Johnson (Columbus, Miss.) and Toriano Stokes (Memphis, TN.) as members of the Buccaneers’ 2015-16 recruiting class. Below are two videos from Deuce Bello’s high school career exhibiting his impressive athleticism. According to multiple sources, including Verbal Commits, Nigel Holley, a 6’8″, 220lbs PF from Wilmington, NC via Vincennes University, has committed to ETSU. Nigel Holley is the second signing this off-season for ETSU. Like our first sign T.J. Cromer, Holley is also JUCO. 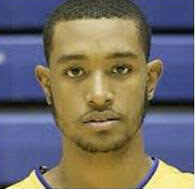 Holley comes to ETSU from Vincennes University where he averaged 3.7 ppg, 3.3 rpg (more stats here). It’s also worth noting that Vincennes University is ranked as #1 juco program in country. Coming out of high school Holley averaged 15 points, 10 boards and two blocks per game for New Hanover High School in Wilmington, NC. As a junior, Holley helped New Hanover High School win the 2012 North Carolina 4A State Championship. 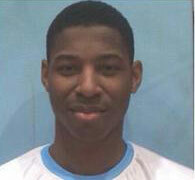 Holley is a big smooth forward who looks like he will be physically ready to play at the division 1 collegiate level. He will be able to play the 4 spot effectively and should provide solid depth for the Bucs in the 2015-2016 season. Scouting video: Nigel Holley vs. Charlotte Elite at 2012 Breakout Challenge from The Wolfpacker on Vimeo. Steve Forbes and the rest of the ETSU basketball staff is off to a quick start as they announced the signing of the T.J. Cromer today. Cromer is a 6-foot-3, 190-pound shooting guard that averaged 20 points per game last season, connecting on 107 3-pointers and shooting 46 percent from the three-point line. Cromer helped lead his Columbia State team to a 26-7 overall record in 2014-15. T.J. Cromer was also named third team JUCO All-America and first team All-Region honors last year. Cromer is the first of what hopes to be an exciting offseason for ETSU basketball. 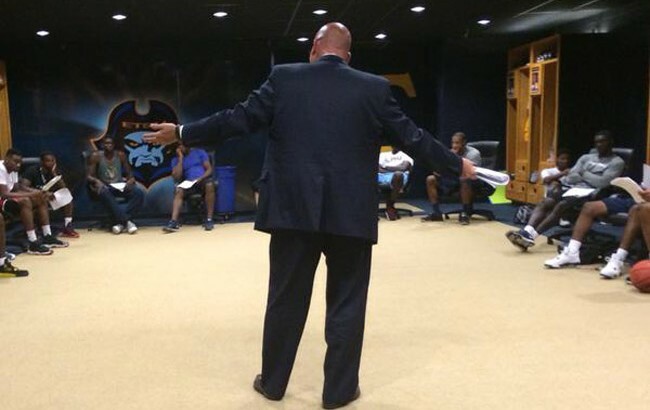 ETSU Hoops will continue to follow all recruiting activity in the coming months. ETSU has offered Ty Toney, a 6’3 SG from Alpharetta, Ga. via Georgia Highlands C.C. 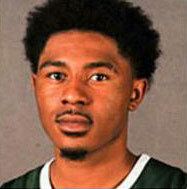 Ty was a JUCO All-American honorable mention and first team all-region. He averaged 17.8 PTS/G and 2.4 A/G in 36 games at Georgia Highlands C.C. this year. See more stats on Toney here. 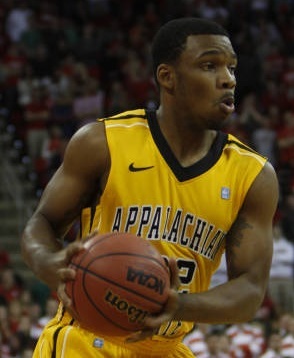 Ty played at Appalachian State his freshmen year before transferring to Georgia Highlands C.C. 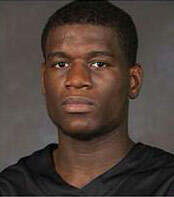 While at Appalachian State Toney average 6.3 PTS/G in 22 games. In addition to ETSU, Toney has also received offers from Kennesaw State, Jacksonville State, North Carolina Central, Jackson State, Tennessee State and FIU. EDIT: 04/21/15 Toney has signed with Eastern Michigan. According to Verbal Commits, ETSU is showing interest in Chris McNeal, a 5-11 point guard from, South Side High School in Jackson Tennessee, class of 2015. McNeal currently has offers from University of Massachusetts and Tennessee-Martin. In addition to receiving interest from ETSU, McNeal is also generating interest from a handful of other division 1 schools such as, Tennessee, Villanova, Memphis, Belmont, UAB, Pepperdine, Arkansas, Kansas, Kansas State, Alabama, Tennessee State, Clemson, and Auburn. 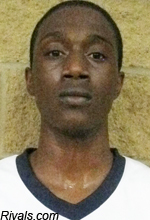 Tyrome Sharpe a 6’0″ PG out of Chipley, Florida, class of 2015, is reportedly on our recruiting radar. 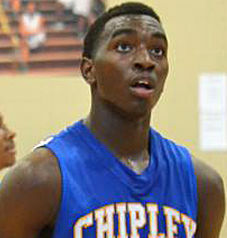 Sharpe averaged around 13ppg and 5apg for Chipley High School this season. He is a very athletic and speedy guard that is mostly known for shooting the basketball and has proven to knock down NBA range 3-pointers. 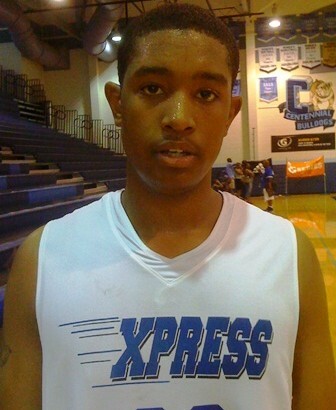 Sharpe also plays AAU for Team Cousins out of Mobile, Alabama where he averaged 16ppg and 5apg. 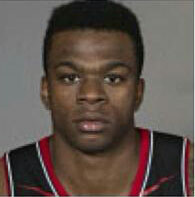 In addition to his great speed and shooting range, Sharpe is also known for having a very high basketball IQ. Sharpe is also getting attention from Alabama and may continue to get looks from bigger schools during his last two years of high school. However, because of his size he may get overlooked by some which might help ETSU’s chances in landing the speedy point guard. Jamie Shaw of Verbal Commits reports that ETSU is very interested in Quantez Brown, a 6’4″ wing from Roebuck, South Carolina. Quantez Brown currently has offers from Youngstown State and Gardner Webb and has high interest from ETSU, College of Charleston and High Point. 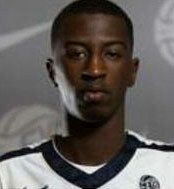 Scouting video: Quantez Brown vs. NC Redstorm 16s at 2012 CP3 Invitational from The Wolfpacker on Vimeo.